Robert Parker was part of the team that proposed Cornell’s new major. (Photo by Jessica Corbett) Click the photo above to view a slideshow. Cornell University launched a Global and Public Health major this semester in response to student demand and demonstrated interest in its minor program, Robert Parker, director of undergraduate studies for Cornell’s Division of Nutritional Sciences, said. Parker noted a trend among higher education institutions developing similar programs, and said examination of peer programs was a key part of developing Cornell’s Global and Public Health major, which was proposed by the Division of Natural Sciences. Public health typically refers to domestic population health, while global health is applied beyond the U.S., Parker said. Growing interest in this field isn’t contained to university students. TechChange, a D.C.-based startup launched in 2010, provides online technology training for agents of social change. Members of the global and public health field are part of their target audience for course offerings. Beginning Nov. 17, TechChange will offer its most popular course, “mHealth – Mobile Phones for Public Health,” which coincides with the 2014 mHealth Summit and Global Health Forum in D.C.
Nick Martin, CEO and founder of TechChange, said increased cell phone and Internet availability has changed how health issues can be approached globally. Cornell’s program focuses on building a deep understanding of both natural and behavioral sciences, combined with a mandatory ‘real-world’ experiential learning course, Parker said. Course requirements range from biochemistry and psychology, to courses on statistics and epidemiology, or the study of the spread of disease. Click the slide above to view a slideshow for this story. Parker said one of the reasons mobile technology offers so much opportunity in this field is that transcends limitations of physical infrastructure. The internet and media are making the public more aware of current health issues Rebecca Stoltzfus, director of the global health minor, said. “Students find these problems disturbing and compelling, and they want to see how their education can make a difference in people’s lives and can close a gap on some of the big global health inequities that exist in the world,” Stoltzfus said. Danielle Corona, a biology major and global health minor, conducted her fieldwork in Peru, where she worked to encourage Peruvian women to immunize their children. Vaccine bracelets acted as a physical reminder for mothers, which Corona said was helpful because the bracelet made it easier to bridge literacy and linguistic gaps. Corona said the program allows students to expand their understandings of health by studying health issues from a broader mindset. Click here to view a slideshow for this story. This drill for my Multimedia Journalism course was completed with TinaMarie Craven. 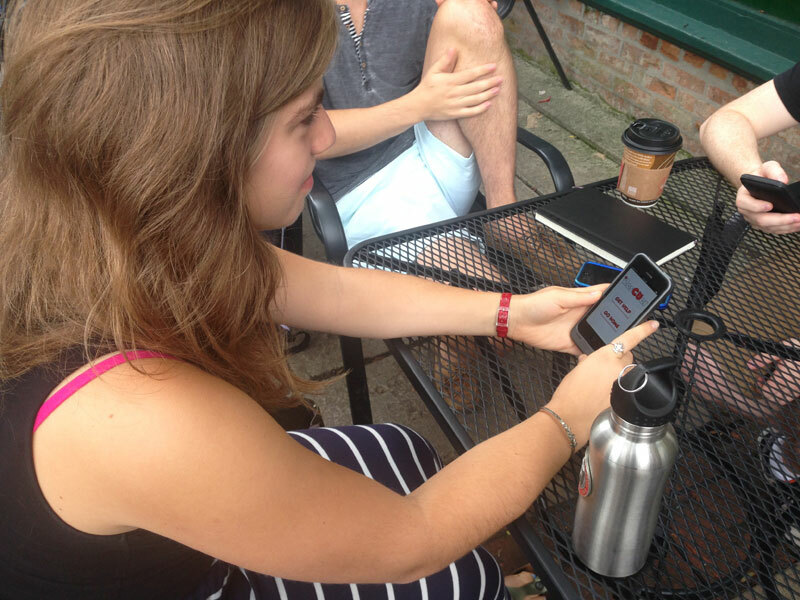 CUAgenda and ResCUer, two free, recently released student-designed iPhone apps created specifically by and for Cornell University students, show a growing interest in app development among college students. Although neither CUAgenda nor ResCUer were designed in the classroom, at least five schools in New York State offer new courses or programs in which students can learn mobile app development. On August 17, Cornell sophomore Dennis Fedorko launched CUAgenda, an app that brings course scheduling to the fingertips. Fedorko decided to make a free mobile alternative to online scheduling programs like Schedulizer and Chequerd, and taught himself how to code for iOS over the summer. The student reaction to CUAgenda, which is only for Cornell students, has been primarily positive. CUAgenda user Gaby Haam said she has been very happy with her experience. “I thought it’d be worth not having to log into student center constantly to remind myself where I needed to be next,” CUAgenda user Michael Truhlar said. Truhlar’s experience with CUAgenda has been one of ups and downs because of a few kinks, which Fedorko said he hopes to address through app updates. Both concept art and the cherry blossom tree by Cornell’s clock tower inspired CUAgenda’s main screen design, Fedorko said. From the main page, users can access services such as Schedule Builder, Pre Enroll, Courses and Daily Schedule, which erases itself at the end of each day. Fedorko said the iPhone version of CUAgenda has been downloaded about 2,000 times, and although there is no Android version yet, it is definitely something he wants to pursue. Before CUAgenda, a team of five Cornell students launched a safety app called ResCUer, which allows users quicker access to transportation and emergency services. It all started on a napkin in Trillium food court at Cornell University in October of 2012, according to Matthew Laks, who is now a senior at Cornell. Laks and a few friends had gathered to eat lunch and discuss their plans for entering an entrepreneur competition at Cornell. “We saw binge drinking being a huge problem, hookup culture leading to a lot of really unsafe conditions, so we were thinking about how we could help combat that,” Emma Court, a senior at Cornell who primarily worked with app outreach, said. “We realized that there were a lot of important safety resources that the students really weren’t using and we wondered if it was because they didn’t have a ready access to them, so that’s how the idea for ResCUer came about,” she said. The ResCUer team included Laks, Court, app developer Josh Krongelb—who, like Fedorko, taught himself to code—and Cornell graduates Matthew Joe and Anisha Chopra. Today, the iPhone version of ResCUer has been downloaded about 1,500 times, Krongelb said. An Android version is also available. Even orientation leaders encourage students to download the app, Laks said, so they see “a huge surge” of downloads during freshman orientation weeks. The free app allows users to select GET HELP—via Police, Ambulance, Gannett, RA On Call or Blue Light—or GO HOME, which directs to buttons labeled Taxi, Call a Friend or Blue Light. Local police have told them that students are calling in with ResCUer, Laks said. “People are using it, and it saves that critical time of Googling for a phone number,” he said. The ResCUer team doesn’t just promote their app—they also use it. Last Winter, Court said she was walking around West Campus and came across a young woman who was barefoot and without a coat. She was “on the floor, crying and she didn’t know her name,” Court said. She used ResCUer to call EMS, then stayed with the woman until helped arrived. Both Fedorko and the ResCUer team said they could potentially see a place for their apps at other colleges and universities, but they don’t have any plans to expand just yet.